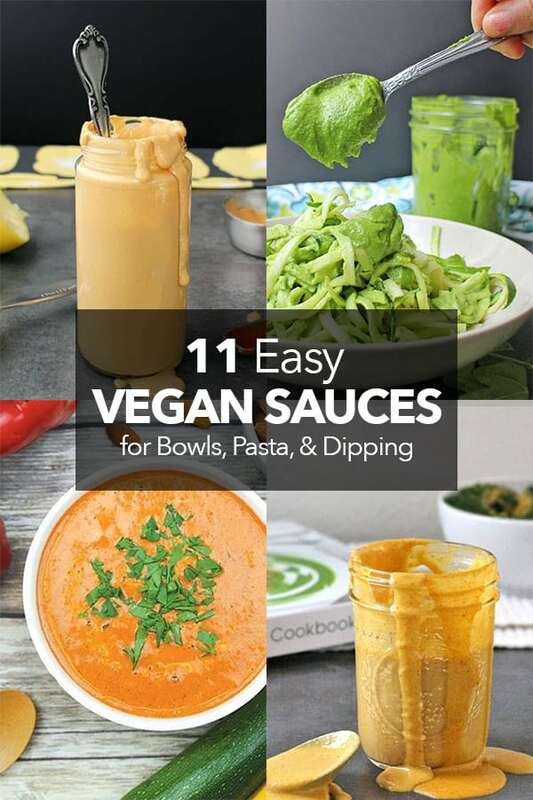 Nothing brings the flavor to a dish like a good sauce, and these easy vegan sauces are more than just flavorful – they’re super quick to make! What do I mean when I say “easy vegan sauces?” I mean recipes that take around 15 minutes or less to make. Recipes that mostly don’t even require picking up a knife or turning on the stove. And they do it without sacrificing a bit of flavor. All of the sauce recipes on this list are incredibly easy to make. No long simmering times on the stovetop or fussy techniques. Just deliciously simple vegan goodness. There’s a lot of overlap between the sauce you’d use for bowls, pasta, and dipping, so I’m going to compile it all into a single list. Peruse the goodness, and choose the sauce that looks best for you! 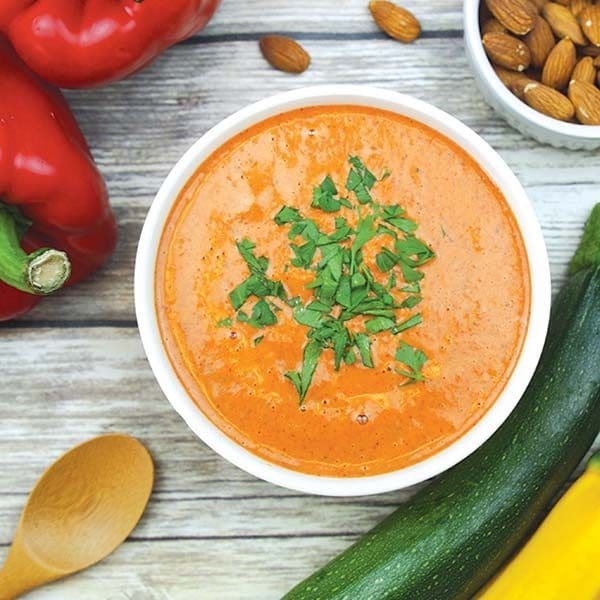 This sauce is amazing drizzled over a vegan bowl, tossed with noodles and veggies, or as a dipping sauce for tofu or vegetables. The best part: It only takes about five minutes to make it in your blender. 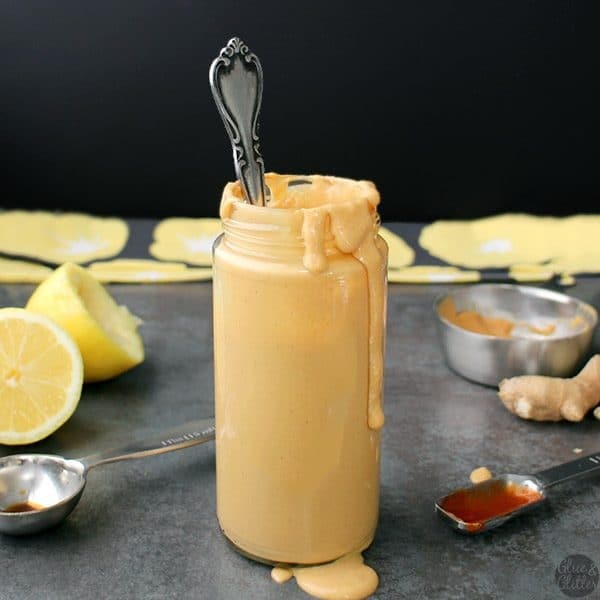 This easy ginger peanut butter sauce comes together in minutes in the blender. Pour it on all of your food! I love using this ranch to bring creaminess to a grain bowl or salad or as a veggie dip for parties. 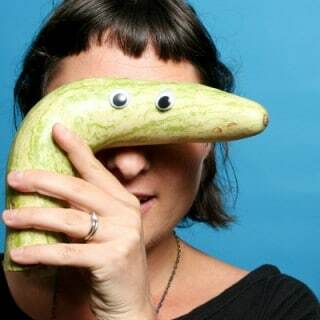 It’s super easy to make and super versatile. This is hands-down my favorite vegan ranch dressing recipe. It’s made from cashews, and it’s so, so easy. 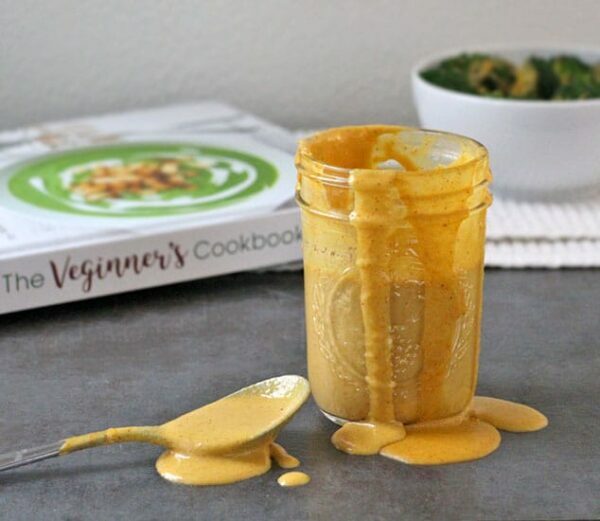 Curry is one of my food obsessions, and I love this blender curry sauce! Use it to bring some heat to your favorite bowl meal or noodles. You make this simple coconut curry sauce in your blender. It takes about five minutes! This oil-free blender sauce is one of the most popular recipes on my site, because you can use it in so many different ways! 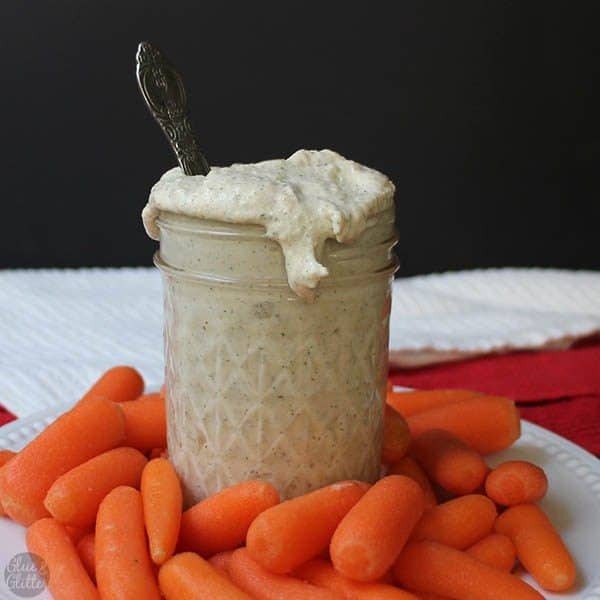 It works well as a vegan dip for veggies or pita bread or as a bowl-topper or salad dressing. Keep a batch of this easy tahini dressing handy for dipping or drizzling. I have not found a food yet that it doesn’t go well on. Maybe not cupcakes. MAYBE. This stovetop sauce only takes a few minutes to come together. When it’s ready, use it as a pasta sauce for a quick vegan mac and cheese. Or pour it over chips for instant nachos. Or serve it warm with bread for dipping. So many cheesy possibilities! 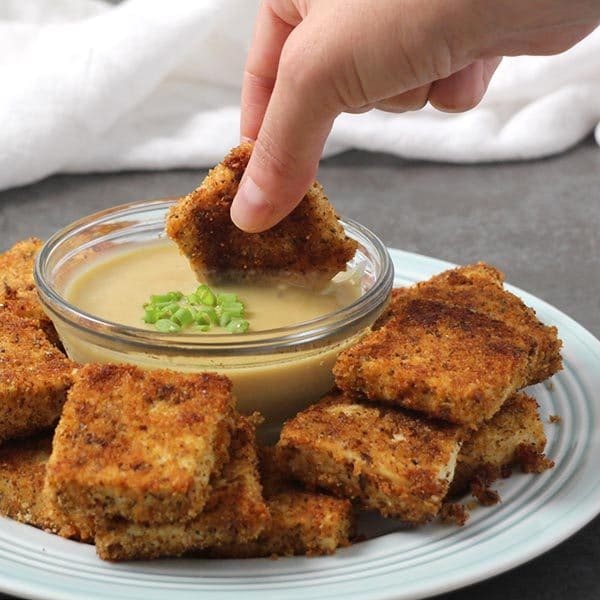 Easy vegan cheese sauce is soy free, nut free, and decadently delicious. Drizzle it over chips for instant nachos or use anywhere you want a little dairy-free cheesy goodness. This is a family recipe that comes together in minutes. No simmering, because I’m not afraid of canned cranberry sauce, and you shouldn’t be, either. Use it to add a touch of sweetness to a savory bowl or stir it into yogurt. 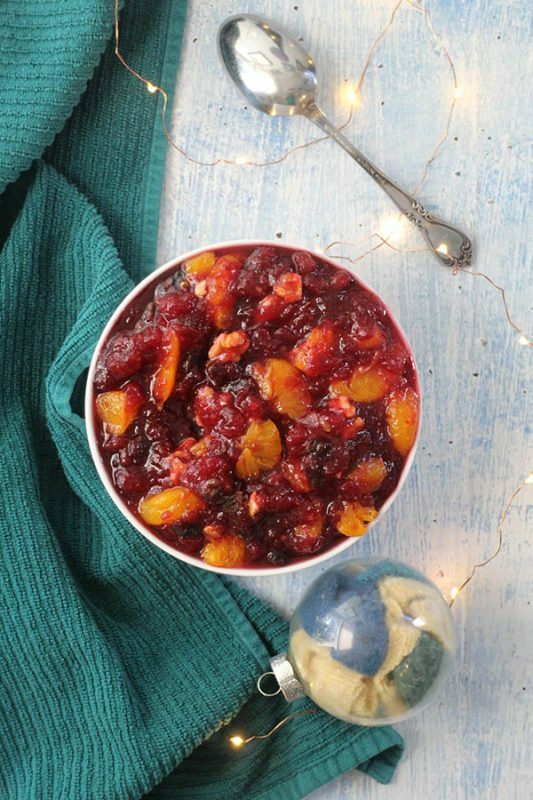 Mandarin Orange Cranberry sauce was always a staple at holiday meals when I was a kid, and this year I grilled my pops for the recipe! Basil pesto is delicious, but arugula brings a buttery bite to pesto that you are going to absolutely love. Use it as a simple vegan pasta sauce, spooned over a grain bowl, or as a party dip. Arugula pesto with fresh basil has a nice, tangy kick and is perfect for using up those beautiful, fresh herbs! 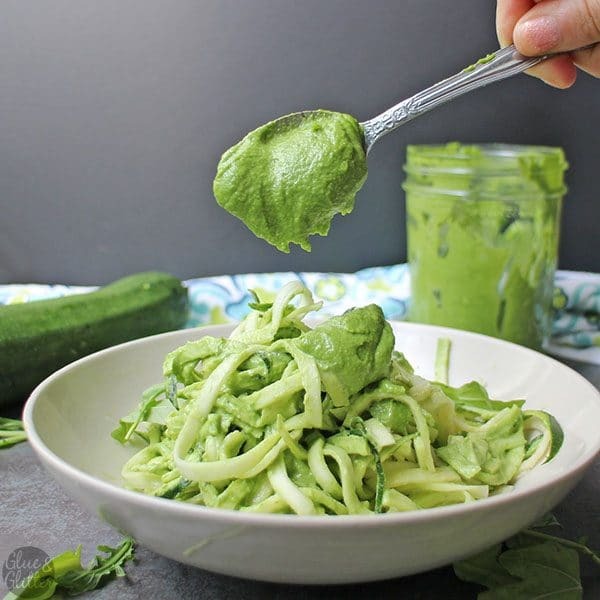 I developed this vegan garlic cream sauce for my spinach-artichoke dip, but you can use the garlic cashew cream as a dip for veggies or to make a super easy creamy garlic pasta. 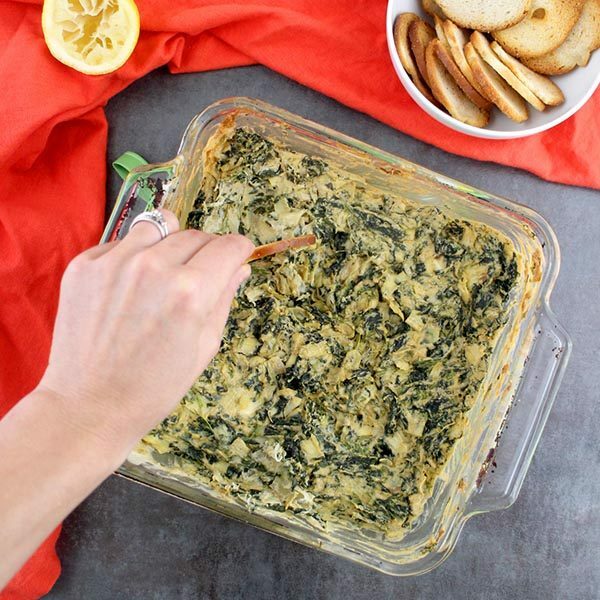 This Vegan Spinach-Artichoke Dip recipe doesn’t use any mayo, cheese, cream cheese, or sour cream, but it’s just as decadent. Promise! 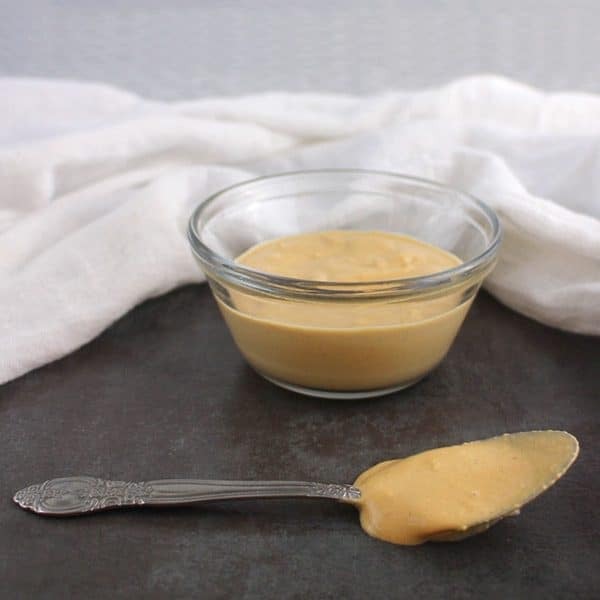 Use this sweet-and-tangy vegan honey mustard as a dip for tofu nuggets, like in the original recipe, or as a salad dressing or sauce for your next vegan bowl. Crunchy Vegan Chicken Nuggets are a crowd-pleasing, kid-friendly delight dipped in Vegan ‘Honey’ Mustard sauce! Tomato sauce is such a classic, but conventional recipes require a lot of mincing, chopping, and simmering. This recipe, from The Kitchn, eliminates the cooking entirely. And if you use your food processor to chop the tomatoes, garlic, and basil, you can skip the knifework, too. Just be sure that you also skip the Parmesan cheese in this recipe. Maybe top your pasta off with my Magical Fairy Dust instead? 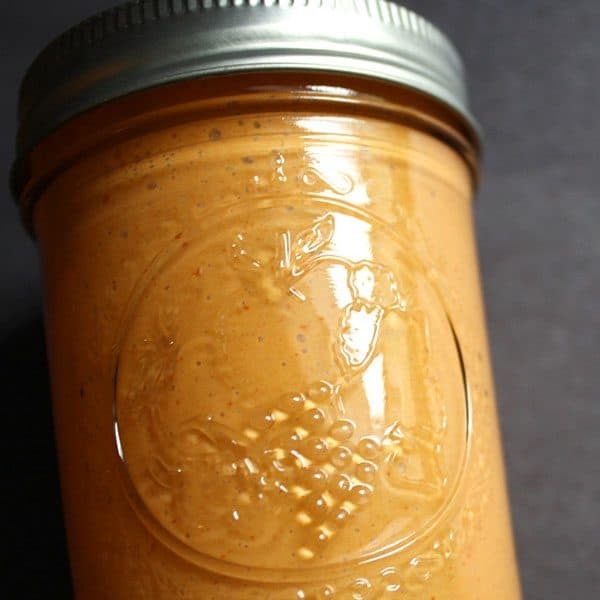 I’m obsessed with Dianne’s cheater recipe for making romesco sauce in minutes. It’s just as flavorful as the variety that requires firing up your oven, and it comes together in a flash! Do you have a favorite easy vegan sauce that you’d add to this list? I’d love to hear about it in the comments!